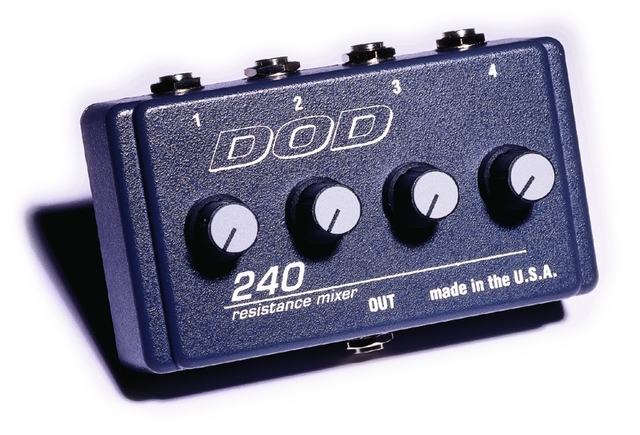 The DOD AC240 is a passive, four to one resistance mixer. Each of the four 1/4" unbalanced inputs have individual level controls, which feed one unbalanced 1/4" output. The AC240 can also be run in reverse to provide a one in, to four out splitter. This is all housed in a rugged alloy cast chassis.